There is nothing like a year end to have everyone focussed on a variety of good intentions, plans and ideas for the new year. For many it's a new start. 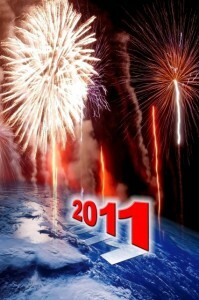 To keep with the spirit, here are 12 ways to better market your business in 2011. 1. Walk a mile in your customer's shoes Understanding the experience of buying something from your business will be illuminating, if you don't already know what it is. Things to watch for are those little frustrations that make you never want to deal with a company again - changing them could give you an instantaneous lift in retaining customers. Understanding the needs of your customer is the best way to serve them better, which means you'll better understand how to find another one just like that one and market to them effectively. 2. Research at least 3 competitors - that you regularly lose business to Even if you are well informed as to who you compete with, regularly reviewing the competition has so many benefits. Gather great marketing ideas, spot holes in their positioning that you can cover, learn from their mistakes, just to name a few. 3. Review how you deal with customer complaints Learn from customers that have taken the time and effort to tell you what is going wrong in your processes. Efficient management of the few that aren't having a good experience could convert an unhappy customer into an advocate that shouts your praises. Chances are if something is constantly not working for the customer, it represents an issue in your business that could be holding you back. If you can resolve the issue better than your competition, it could be a point of difference that you can shout about in your marketing. Businesses that care about their customers (and what they need) get great word of mouth. 4. Find alliances Making an alliance with another company, most likely in a completely different, but complementary industry,will allow you to put your heads and resources together in attracting the same target market. Give outstanding value together. 5. Fix inconsistencies Ensure you have the same logo, brand, overall message throughout anything you use to communicate. Often companies have a website that looks nothing like their brochures. Branding, points of difference, colours, all of these things signal your professionalism, reliability, and ability to deliver a consistent experience. Make it easier for your potential customer to choose you - if nothing else, simply because they recognise you! 6. Be clear on who you are and what you offer Don't be all things to all people. Choose a direction or point of difference and capitalise on it. Trying to keep multiple messages clear, even if you are a very large business that has multiple brands that operate separately, is very difficult. 7. Remember your existing customers What have you done for your existing customers lately? When last did you reward their repeat purchasing, offer them something for referring you? Or even, when last did you remind them of you at all? It is so much easier to get an existing customer (assuming you are not a one hit wonder) to buy from you again rather than to seek out a new potential customer. 8. Tidy your database Making the assumption that you have realised the incredible importance of having a database, you will get more from your data if you keep it current. Improving data is another wise move. If you set up a process for dealing with any returns from incorrect address/ addressee issues, you can clear out anyone you are direct mailing that is no longer likely to respond (given that they are not there any longer), and the same goes for email addresses. In case you feel like you can't let those contacts go, let me say it again - clear out the rubbish data, you won't get any sales from it - all you are doing is wasting your money. 9. Review who your ideal customer is Some types of customers are better than others. Becoming quite ruthless about exactly who your ideal customer is will focus your marketing efforts on finding the best kind of customer. Sometimes, you even have to say goodbye to customers - especially if where your business is going is not the same kind of place as the customer. Your offering may be out of date with what your ideal customer wants, and it may be you that has to change. 10. Ask your customers what they think Ask for their opinion on your marketing, and see your business through their eyes. Talk about whether what you offer is exactly what they want. Ideally you should be talking to a good sized sample, this exercise does not yield results worth pursuing if you have only asked one customer. 11. Train your staff Your employees are often closer to your customers than you are. They should be representing your business in the best possible way - they are your most customisable marketing channel. 12. Focus These are the kind of times to do your marketing as best you possibly can - wasteful spending or doing a less than excellent effort is not going to keep you where you want to be in 2011. Chose the marketing activity based on the combination of its capacity to reach your ideal customer, at a reasonable cost per sale, and let it have a clearly defined objective. Check your results. Bronwyn Durand founded JupiterJasper, the Marketing Mentor for small businesses. Bronwyn is also The Brand Whisperer, with a special interest in building commercial identities for businesses. Do you get my free weekly email? Sign up to ’1 Thing to Improve Your Marketing this week’ here.